Excellent city services are a cornerstone of the Niles lifestyle. Our safety services offer average emergency response times of four minutes, about half the national average. Our Parks and Recreation Department offers many different recreation opportunities annually across 10 city parks and facilities. Excellence is a standard for all City of Niles services and departments. Niles operates under a City Council & Mayor form of government. The Mayor oversee’s his or her office, as well as the appointed Directors of Public Safety and Public Service. 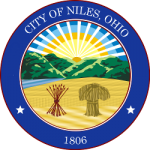 The Mayor’s Office is responsible for the day to day management of Niles and its departments. The Director of Public Safety oversees the Police and Fire Departments. The Director of Public Service oversees the Billing, Building, Cemetery, Electric & Light, Housing & Zoning, Information Technology, Parks & Recreation, Street, Sewage and Wastewater and Water departments. The City of Niles’ efficient use of revenues and resources has allowed city leaders to also invest in city infrastructure. Niles has invested more than $36 million for a new wastewater treatment plant, and consistently invests in new roads, parks, water and sewer improvements, and other infrastructure capital. Look for detailed information on the financial strength of the City under the Auditor’s Department. Find answers to trash and snow removal, leaf collection and street sweeping schedules, and animal protection and more under the Street. Or, look under the Housing & Zoning Department for information about zoning and sign permits, land use patterns, or the zoning map. Building inspections and building permits can be found under the Building Department.